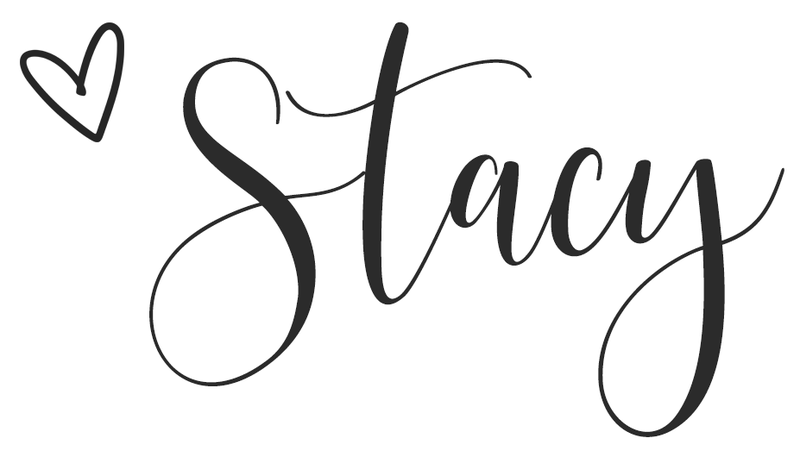 Styled by Stacy: My Favorite Wardrobe Essential! Whether it’s in the middle of the frigid winter or a warm summer's day, the one piece I’m always shopping for to add to my wardrobe is the perfect cami. The cami is the most versatile piece you can add to your wardrobe and it comes in so many fits, colors, and fabrics. 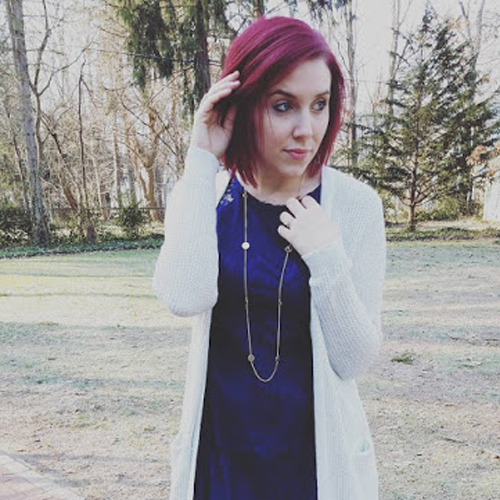 This item is easy to style from season to season. 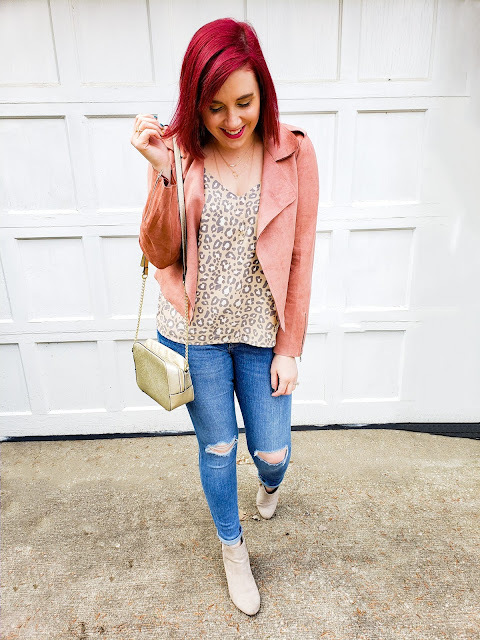 In the winter you can wrap it up in a big cozy sweater, in the spring you can pair it with a nice denim jacket, and in the summer you can wear it as is with a cute pair of denim or a skirt. However you decide to style it, you can never go wrong when adding a new cami to the mix. 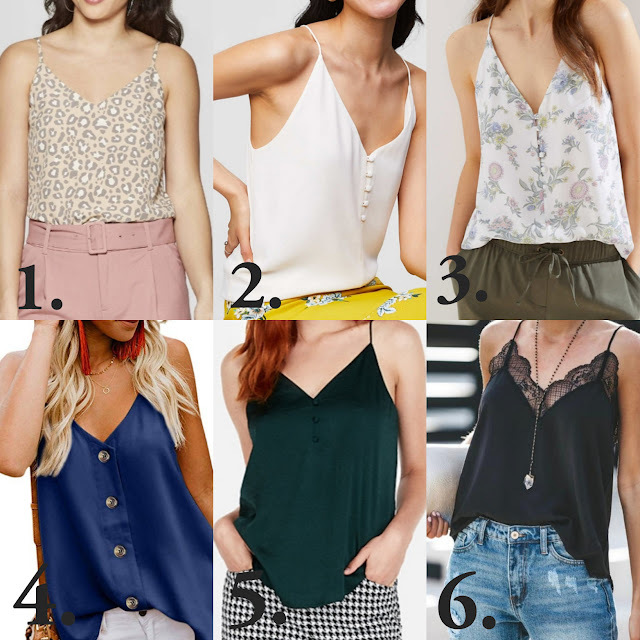 Lately, I’ve noticed a trend in my own shopping habits and it all centers around the cami. I’ve found some really great ones perfect for every wardrobe. In today's blog I wanted to share all my cami finds! I find it is the one piece everyone lacks in their wardrobe but, I promise if you snag some of my favorites, getting dressed in the morning will become a snap! And to all my mama’s out there you know I love pieces that make getting dressed for the day easy! I hope my finds inspire you to go cami crazy with your wardrobe. 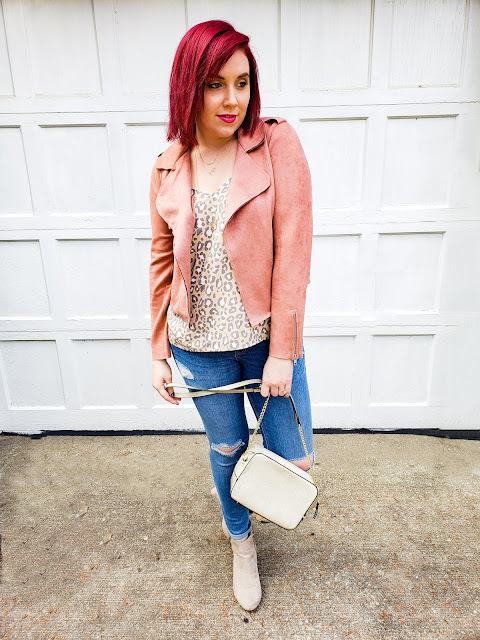 Make sure to follow me on the gram to see more ways to style cami’s all year round, the style possibilities are endless and I’m always sharing some new ones everyday! 1. 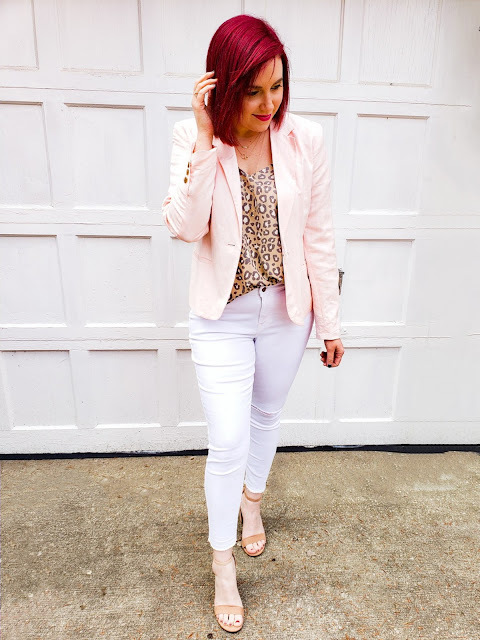 Target: This is my featured cami and of course it's in my favorite print, leopard! 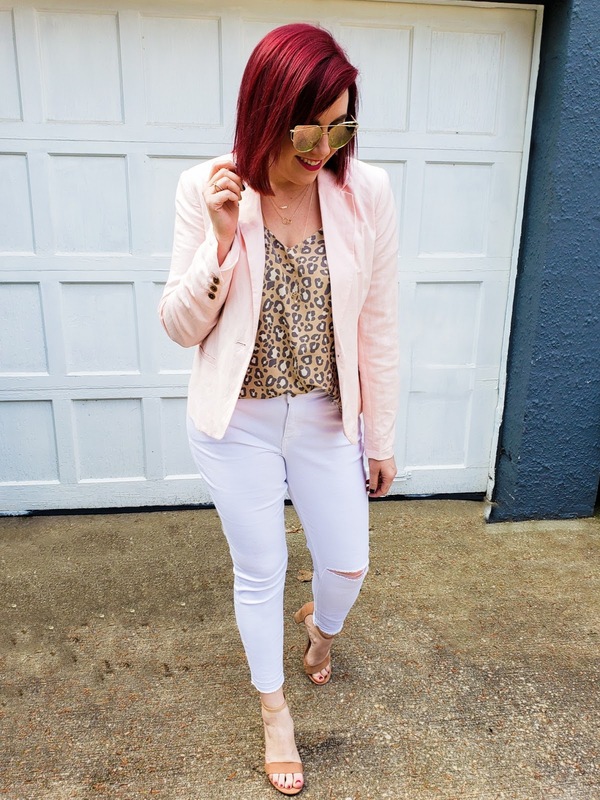 I've styled this cami two ways for you! The white denim paired with the pink blazer is a great spring look while the mauve moto and booties keep you cozy for fall! 2. 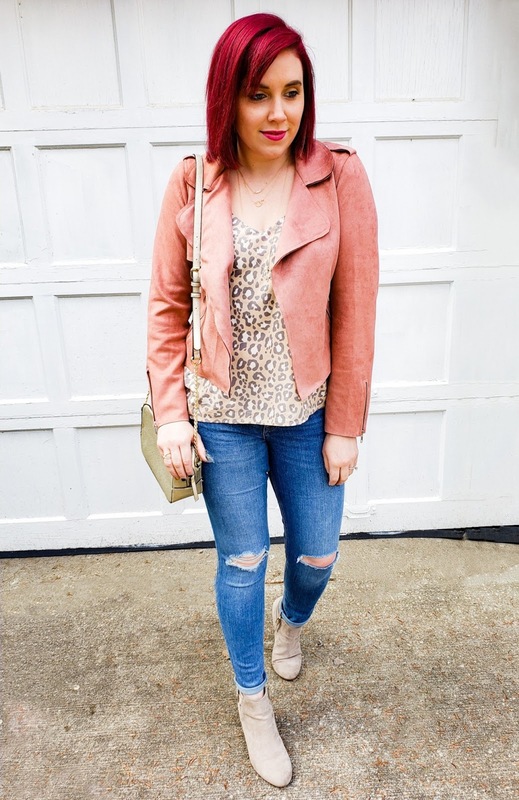 Loft: This is my go to cami in my wardrobe, I also own it in black! It is a good tunic length so it pairs great with leggings and a cute jacket for an easy weekend look. 3. Loft: Same style as my favorite white one but the florals are the perfect touch for spring and I could not pass it up! 4. Amazon: Loving the button detail on this tank and it comes in three more colors! 5. Express: I searched high and low for the perfect deep green cami this holiday season. I found mine at the Loft but unfortunately its sold out. But this one from Express is equally cute and has a great button front detail! 6. Vici (Look for Less: Amazon): I love this delicate lace tank and I bought it in the charcoal gray and the off white. The sizing was off on this cami, defiently want to size up. In the process of returning and re-buying, I found the charcoal unfortunately sold out!! They still have a few colors left but they are selling fast. I also found a similar one on Red Dress but those are sold through as well. That's why I was excited to see it available with Prime on Amazon! They don't have a lot of colors so I snagged the white and black and I made sure to size up!